Domino Magazine recently posted their top 26 design blogs and I have to admit that I am in love! I started following a lot of them on Pinterest and squeal with delight when I see all the pretty interiors that I have to look at now. Emily Henderson. Love her site and her style. She’s a new mom to a cute little boy and oh so glamorous and girly. I feel like since I’ve had my second baby boy that I want to surround myself with more girly things, just for me, so that I don’t get consumed by monster trucks, pirates (ahrrr!) and light sabers (not that there’s anything wrong with that, and I am the one that makes sure they are well versed in Star Wars). Her style is clean and fresh and filled with happy colors. And she even posts about fancy cocktails, good books, and neat DIY projects. A Beautiful Mess with Elsie and Emma. How cool would it be to be besties with your sister and have a design blog together. My sister and I definitely have different styles and tastes but somehow we like a lot of the same things. Like we may both love the same dress or artwork or green kitchen cabinets but we would style it differently (with different accessories or a couch or dinnerware). Anyway, recently I have gotten the chance to do some collaborations with my own sister and I can’t wait to post the end results on my own site! Jenny Komenda of The Little Green Notebook actually helped inspire my current home DIY project, a simple jewelry rack! Hers, of course, was part of a whole IKEA wardrobe hack that came out super fabulous and was featured in Domino Magazine. I find that I love blogs where someone is tearing apart their house room by room and renovating it themselves. I get so excited when I see what it was before, during demolition, and what they transform it into after. She’s knee deep in a bathroom reno and I can’t wait to see it finished. She blogs and has her own design business! Truly my end goal! Making it Lovely by Nicole Balch is another woman that I can relate to. She has fun, quirky, classic interior taste, mother of two with a third on the way, and just an outgoing personality that I feel she really wears on her sleeve (literally I love her clothes!). She finds a way to incorporate pink into her rooms that just makes me smile. And I love the Jedi birthday party she just through for her son. I’m finding a theme where I’m more drawn to these blogging designers when they have children and find a way to mix sophistication and quirkiness into their homes. Something I’ve been making moodboards for my own home lately is to mix the sophisticated adult with the joyful child elements. decor8 is an all in one site where creator Holly Becker mixes interior design with good finds (from products for the home to jewelry), and even blogging tips and education for other potential bloggers out there. She’s very straight forward and honest about what makes a blog special and different. She has almost a Martha Stewart way about her, where she knows a bit about everything and has simple tips for everyone to achieve the look too. I’m very curious about her blogging ecourses and look forward to attending one later this year. 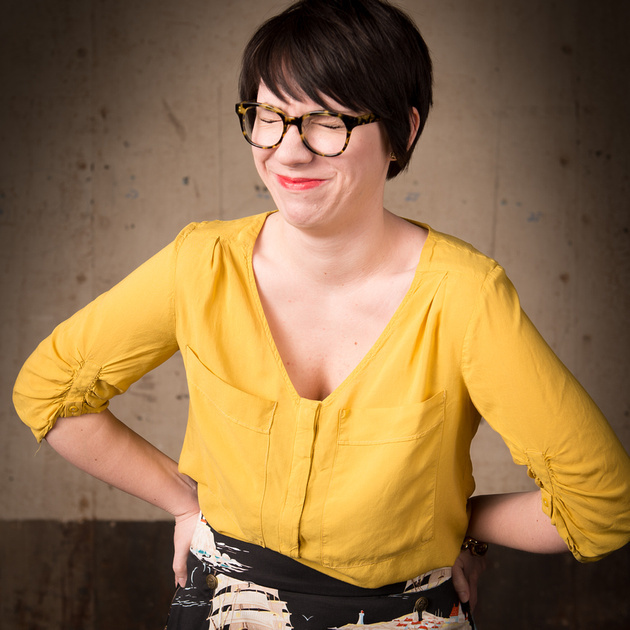 Kristen Jackson is the woman behind The Hunted Interior. 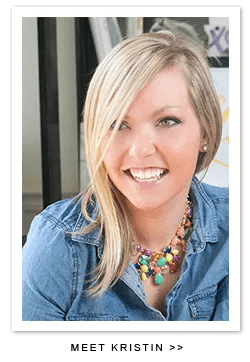 She not only blogs but also has an eDesign business out of the Atlanta area (I have another favorite Atlanta area blogger that I haven’t mentioned in this post, Bower Power with Katie Bower), like I said before, something I am aspiring to do. She comes from a hospitality design background so her interiors look a little hotel like but are freshly layered with mix-matching pieces that really give the room a personality. I love it when a sophisticated room doesn’t take itself too seriously and incorporates a touch of whimsey. There are a few more design blogs that I am in love with that I haven’t mentioned in this post. I might start to shake and twitch if I didn’t get my weekly dose of Young House Love. The house they did for the Homearama showcase is my dream home. It’s clean and family/kid friendly (they just had their second baby so they know how to decorate with kids in mind) with colors that just flat out make me happy. I can’t get enough of them. I can’t wait to start transforming my house. I know it’s a long process and doesn’t happen as fast as it takes me to binge read some of these blogs so I need to remember to be patient, something I always tell my son, Cash. It will happen someday, until then I can live vicariously through these wonderful and creative women.